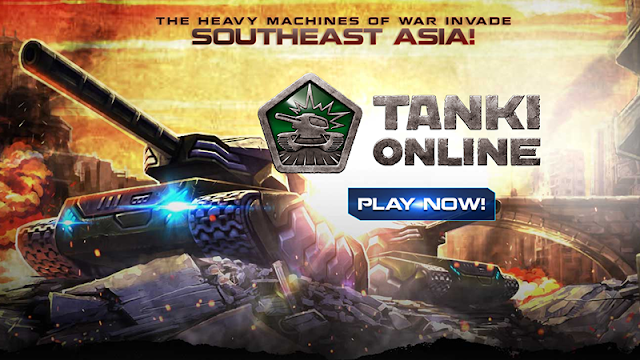 FREE – Tanki Online presents a multiplayer, browser-based adventure that is FREE-TO-PLAY. Players from all over Southeast Asia can go head-to-head with each other using a wide array of incredible diverse weapons of their choice. Get to relive the charm of Battle City from the NES epoch with a modern 3D shooter dynamics. EASY – Part of the ease in playing TANKI Online comes from having NO DOWNLOAD needed to enjoy the game. As a browser game, anyone interested need only to open the website (tankionline.playpark.com) on Chrome, Firefox, or even Explorer to get started. It is accessible on PC and laptops. Login options include a PlayID, Google account and Facebook. COMPETITIVE – Don’t be deceived by how easy it is to get started on Tanki Online. It only adds to the challenge of mastering the game. See if you can conquer the competition in various game modes and changing battlefields. Customize tanks to fit your gameplay. Level up to unlock more features and beat the competition. The newest release of PlayPark can be accessed directly through your browser without the hassle of downloading a huge client installer to get that intense PVP action! Click on the Play button from your web browser and you are all set to go. No installation needed. To know more about PlayPark Tanki Online, visit any of the links below. What can you say about this awesome free browser-based 3D action game? Let us know in the comment section below.